Sometimes, you have to leave the people you love, not because you want to but because you need to. There are a lot of reasons; it may be personal, maybe you need to find yourself or it may have something to do with your job and finances. Whatever the reason is, being away from your family and friends is hard. Loneliness is a constant presence in your life and if it weren’t for phones and the internet, it’s hard to imagine how life would be without even hearing their voices. 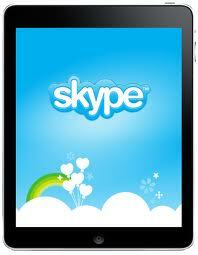 Skype is a popular software where you can send SMS, IM, call from your computer to phone and do video call. It was made available in the public in 2003 and now, it has millions of subscribers. The services that Skype offers not only benefits people separated by miles but entrepreneurs who run businesses on different locations. The software offers conference call for 25 people all at once so the employer can be like in two places at once. Video calls is one of the most frequently feature here. Not only can you hear the person but you can also see him or her. Technology is simply amazing. Skype can be installed on any computer, laptop or tablet and any operating system. For the Mac Ipad, it requires iOS5 or higher for it to be able to run. The Ipad is the newest product launched by the technological giant Apple Company. It follows the long line of gadgets that the company has produced over the years. There are key differences on running Skype on a regular PC or laptop against a tablet. For one, you operate an Ipad by touching its screen; there is a built-in keyboard although you can connect an external one. Tap on the Skype icon on your Ipad; it will show you a list of your contacts. Tap again on the contact that you want to call or send a message. A box will appear that will show you buttons with the options Video Call, IM, SMS or Voice Call. Point your finger on the action that you want to be done.